Welcome to the Atlanta Marietta RV Resort Park! 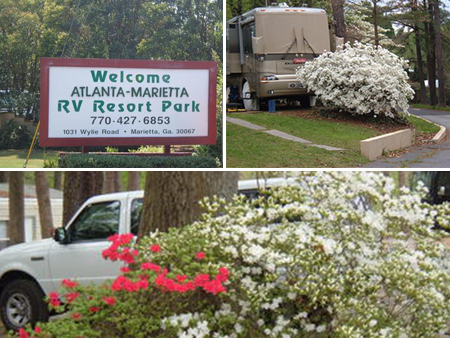 Atlanta Marietta RV Resort is the place to stay if you're looking for a vacation that allows you to relax in a peacefully wooded site surrounded by the sounds of nature. Our sites are level, paved and come equipped with patios for those long, lazy days of summer or those still warm, "don't you wish you were here" days of winter! We are also the place to stay if you're looking for a combination of rest and relaxation AND some sightseeing, night life and the excitement of a big, southern city! 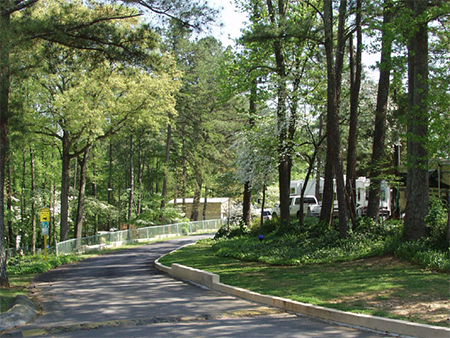 We are the closest campground to Atlanta, only 13 miles away, minutes from shopping, white water rafting, amusement parks, historic sites and many other activities to keep you busy during your stay in the beautiful south!